He was banned shortly, lol. 1st Division for Fast Attack Craft, Nuff' Said. Boats, Please make a way for boats. This is also dices fault for not running the beta long enough to get the bugs fixed and other issues that they some how to make. 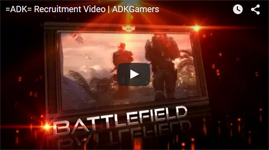 Hey, Welcome to ADK Forums! We're all glad you're here! Cant get the settings to work, Bad luck.. I've had ShadowPlay write to 2 different hard drives that I wasn't using and It caused my fps to go from 170 to 53 and it's so annoying to be skipping around the screen. Welcome to the Forums, Hope to play with you and to talk to you on TeamSpeak!